I saw this simple, effective idea at web.gnowledge. 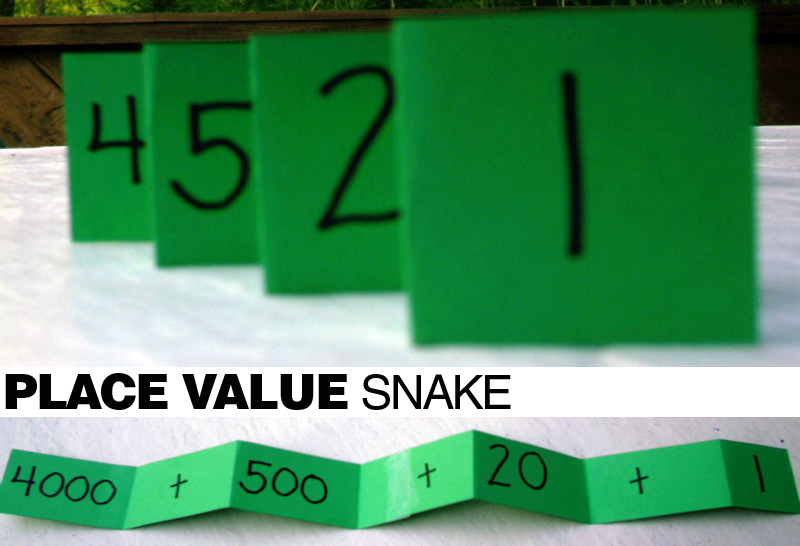 To help kids understand place value and numbers in expanded form, create a place value snake - genius! Cut a long strip of paper, fold it accordion style, and fill in the blanks (thousands, plus sign, etc.) Add a tongue and eyes if you'd like! I love projects like this: cheap, easy, and effective. Thanks for sharing! Is there a secret to getting the folds done easily? Having trouble getting it to work nicely. Would you recommend putting the eyes at the thousands place and the tail at the ones place?